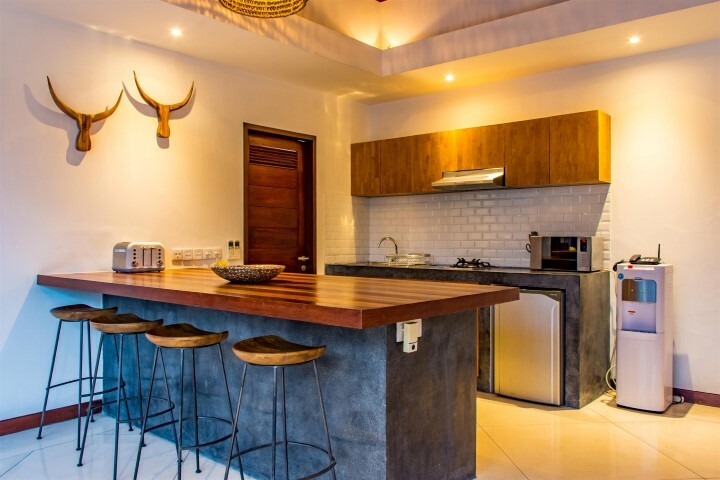 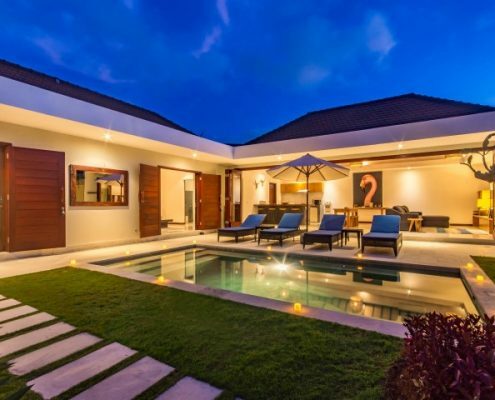 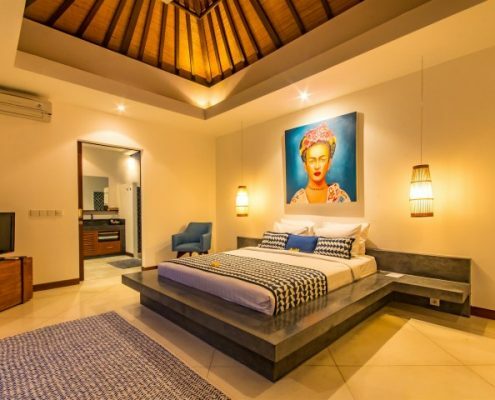 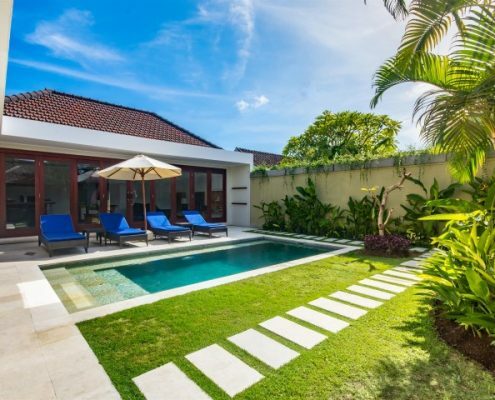 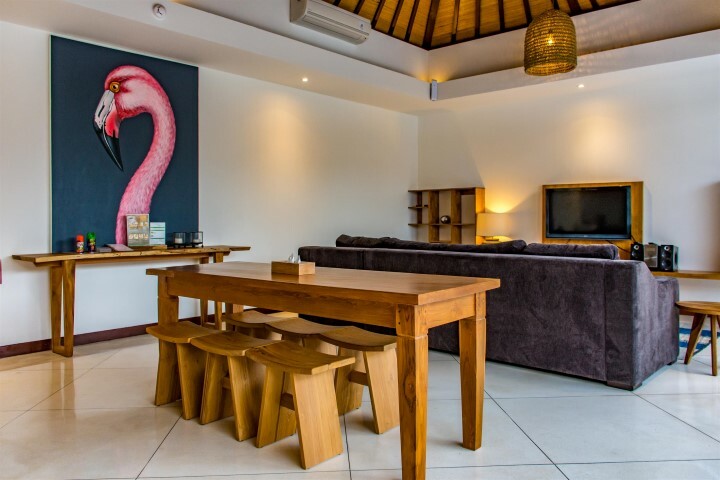 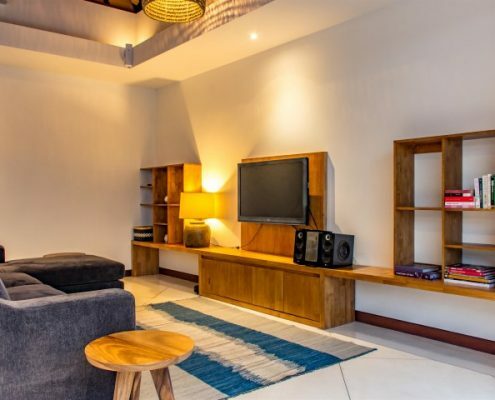 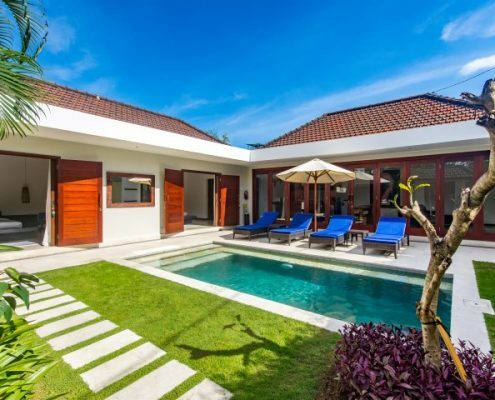 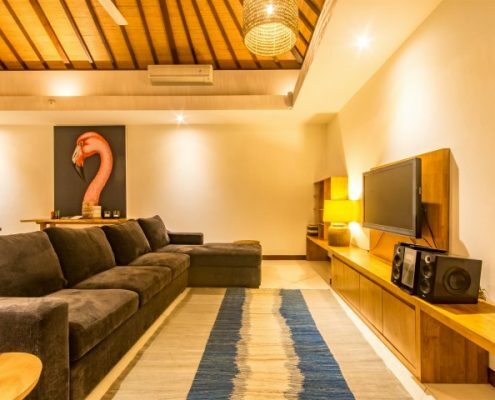 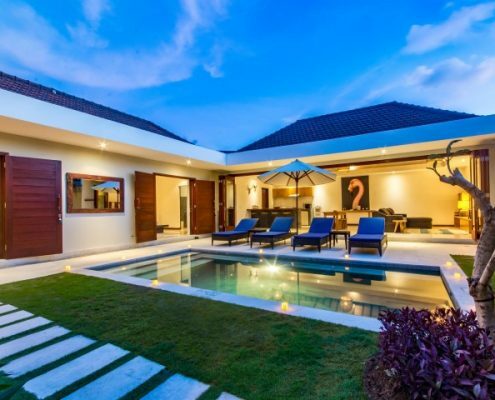 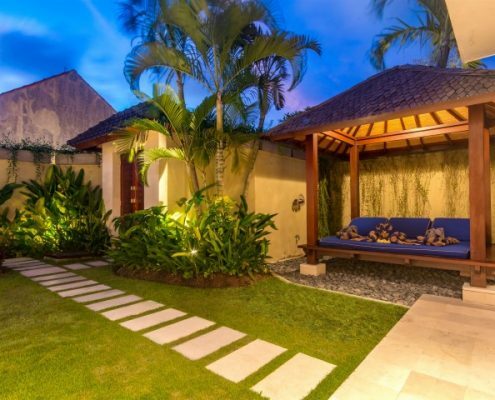 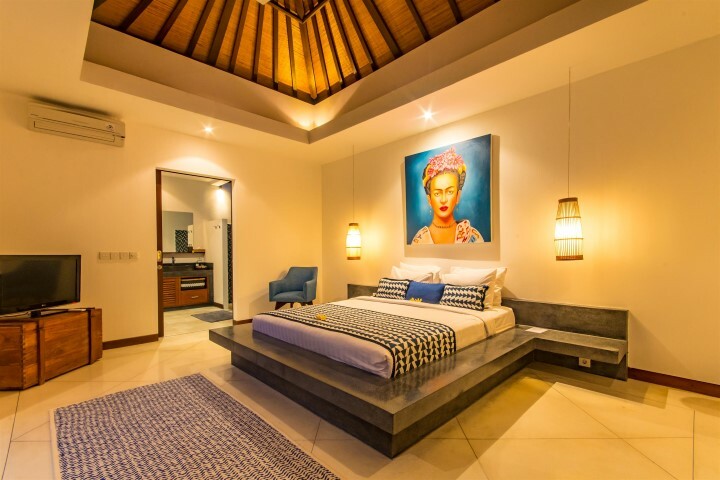 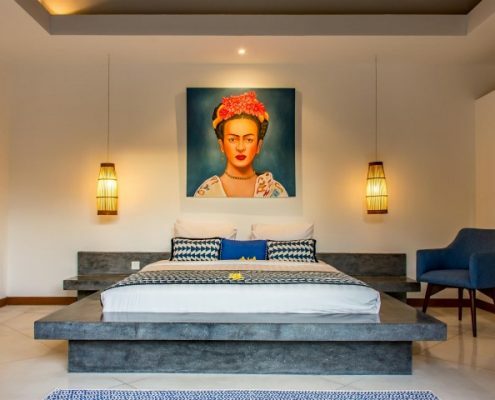 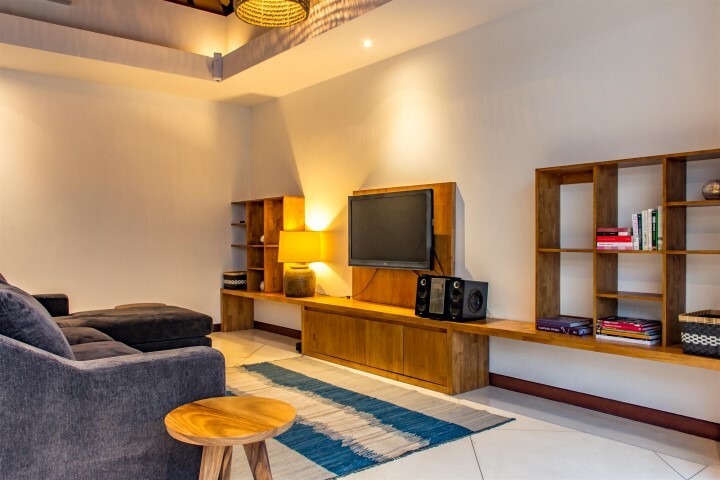 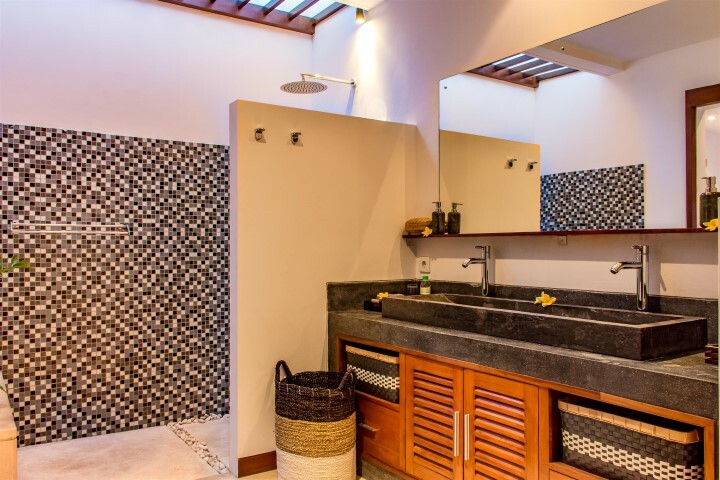 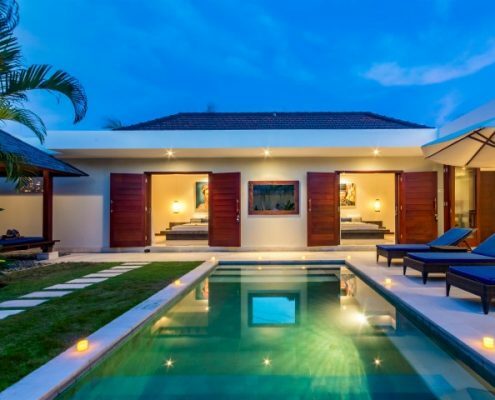 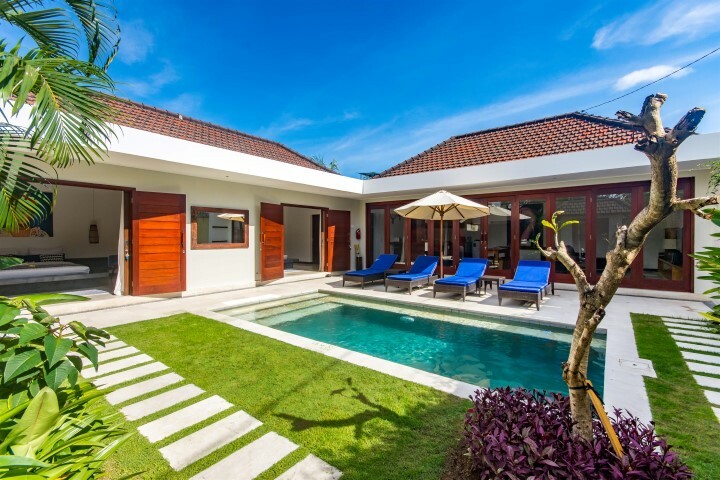 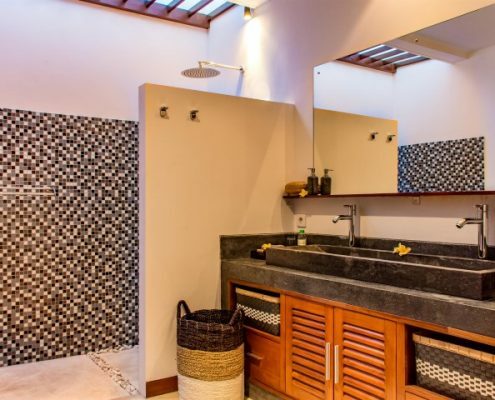 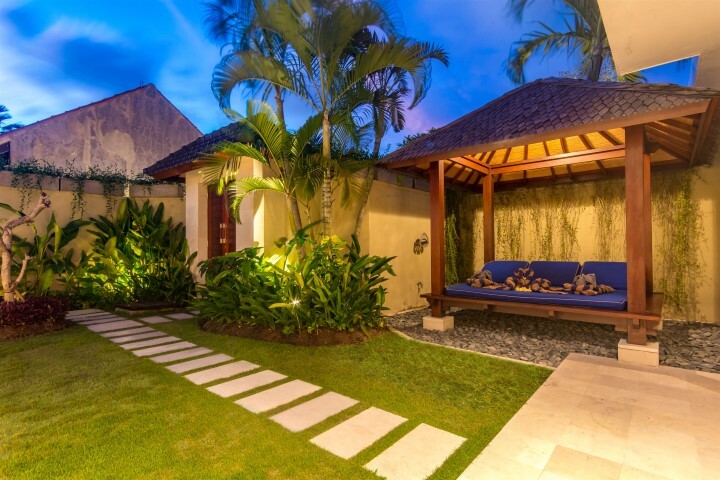 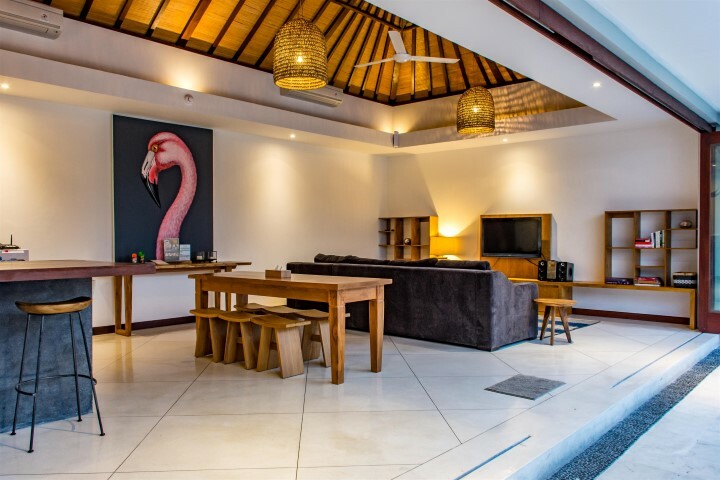 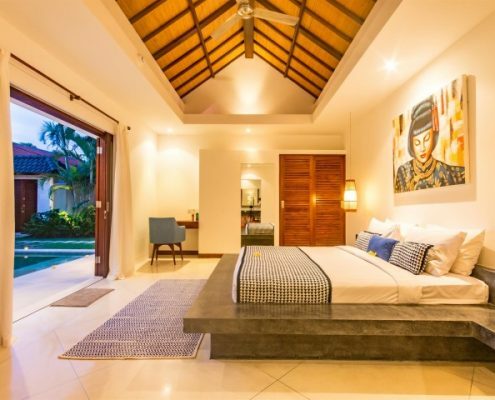 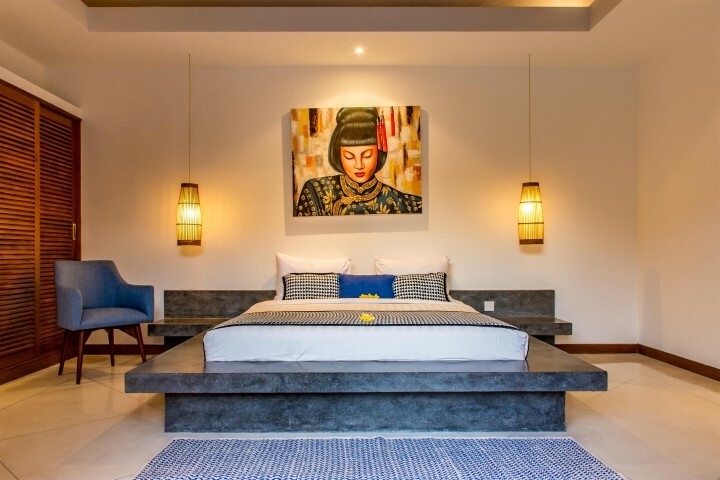 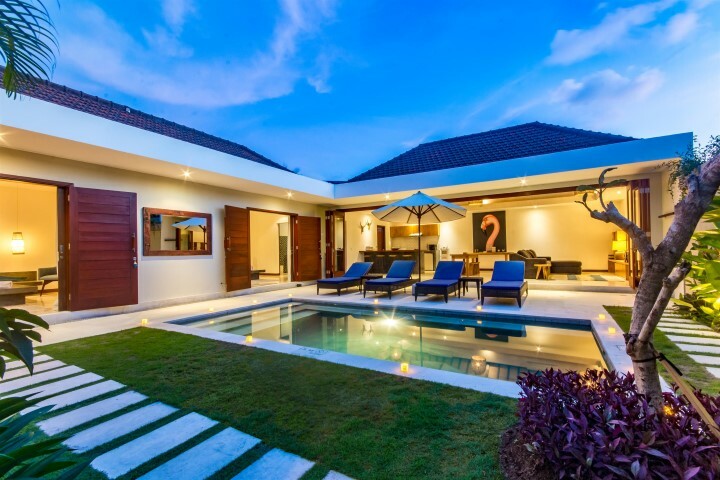 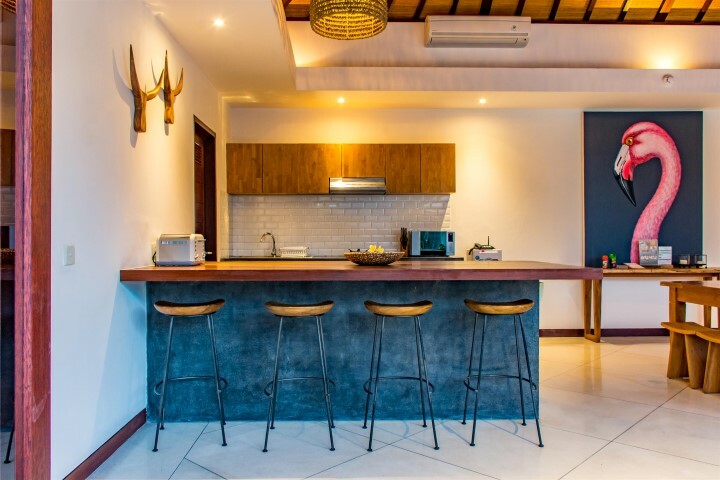 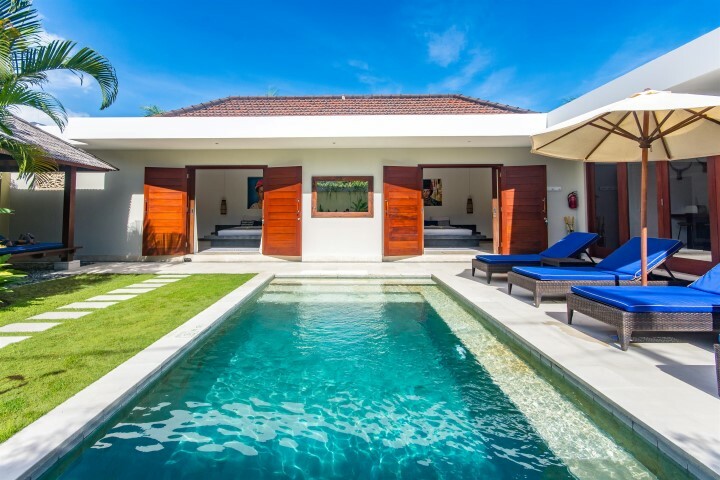 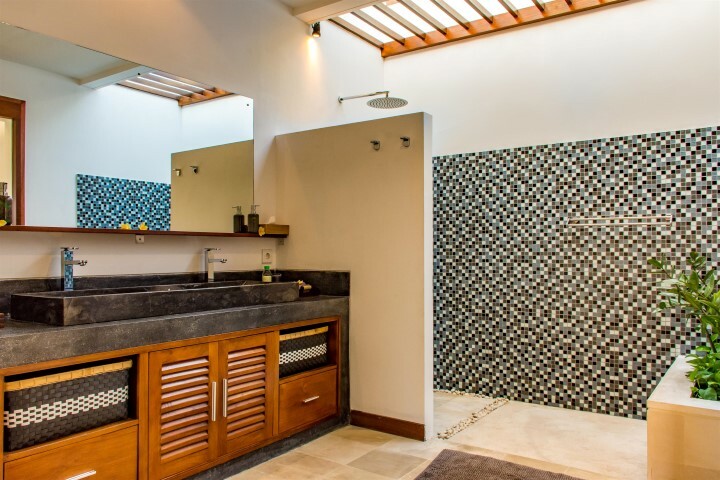 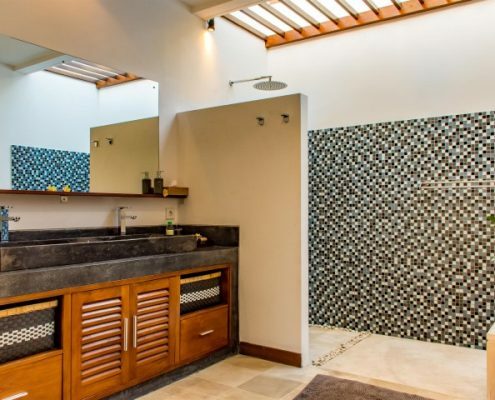 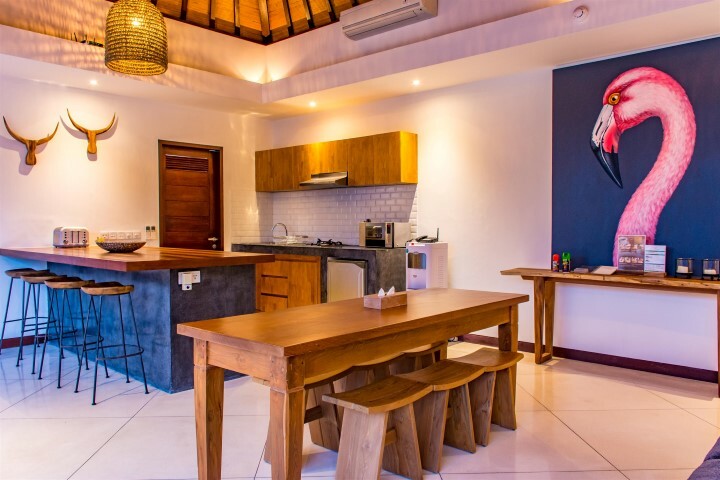 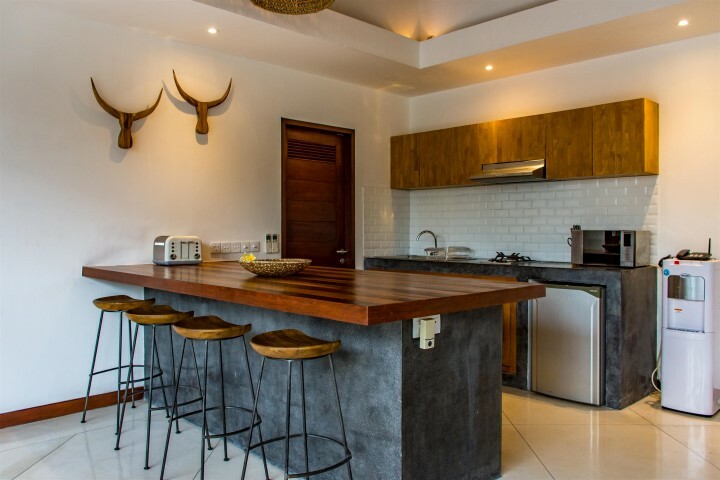 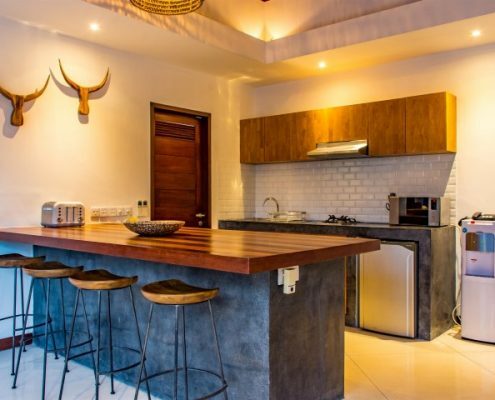 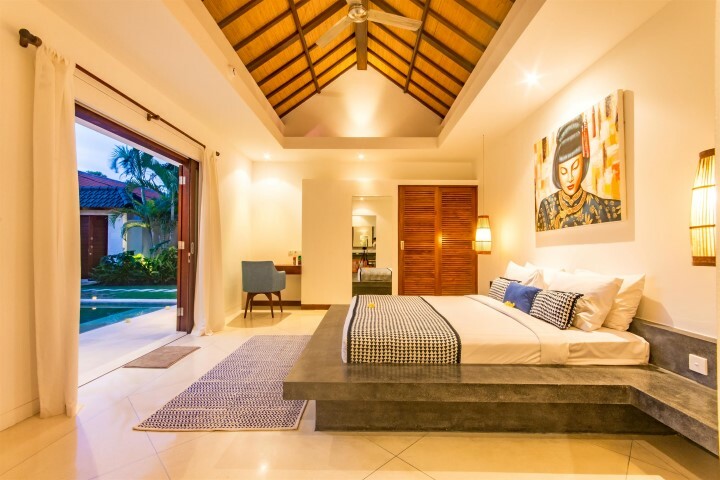 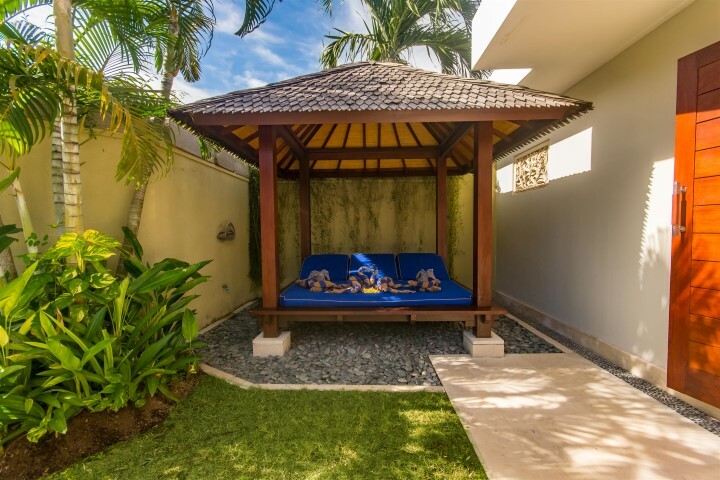 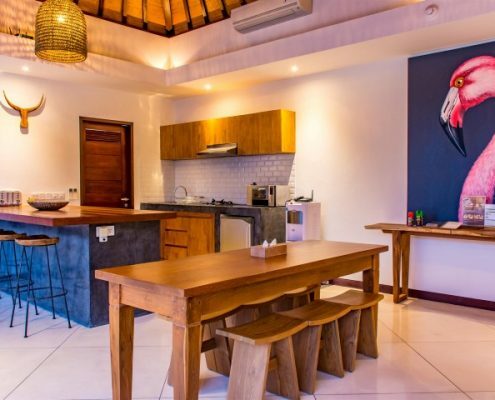 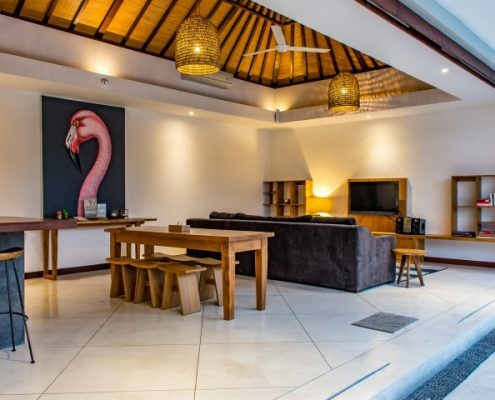 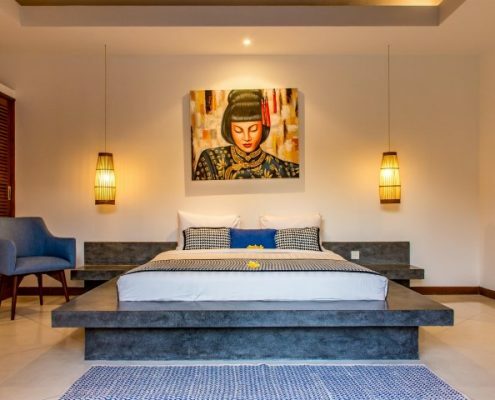 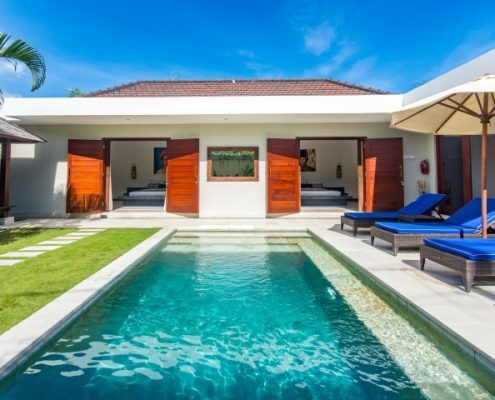 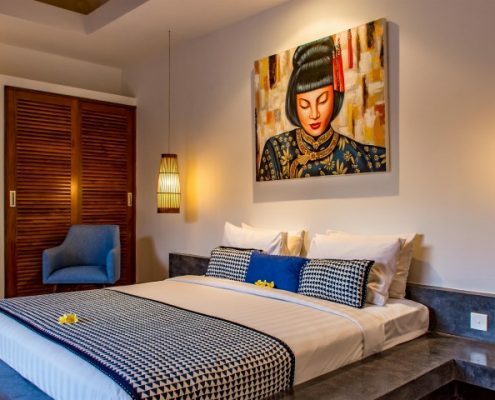 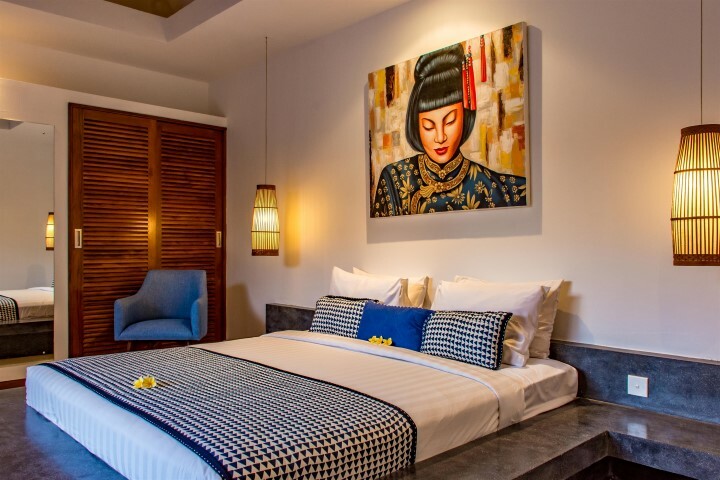 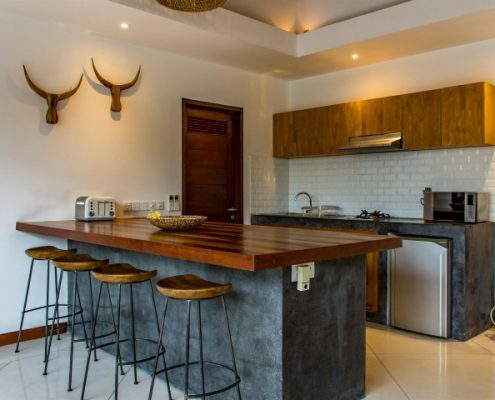 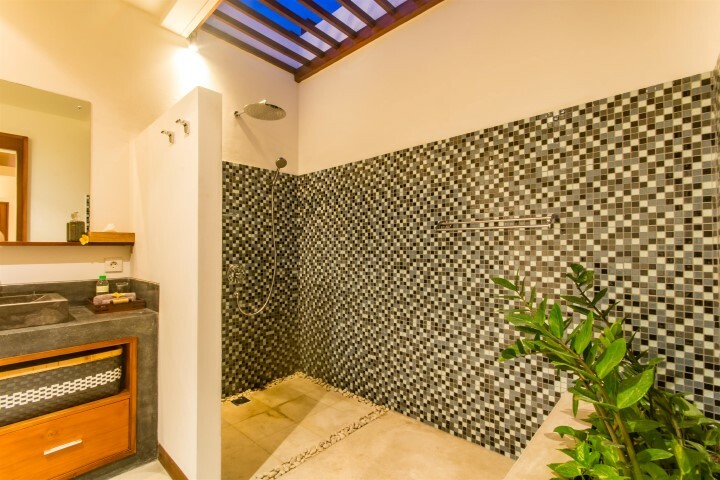 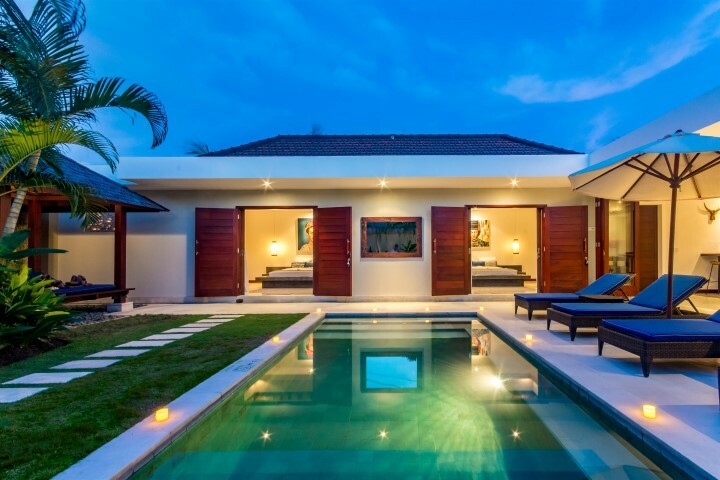 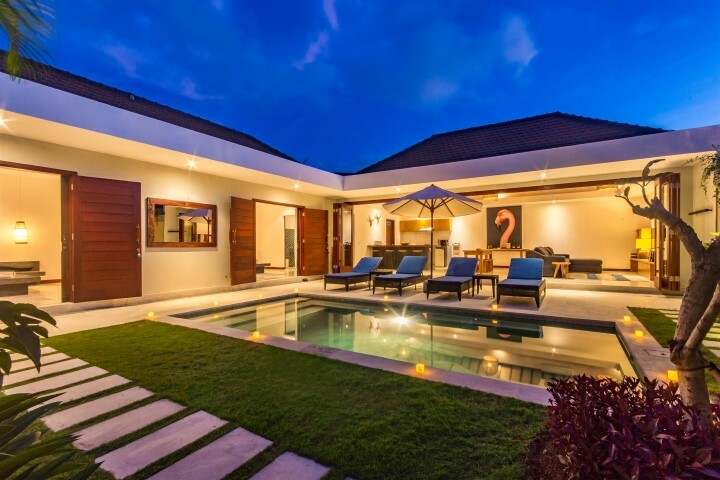 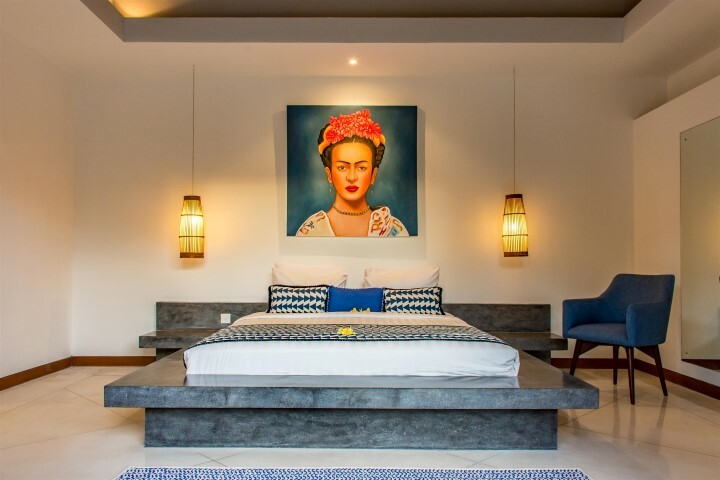 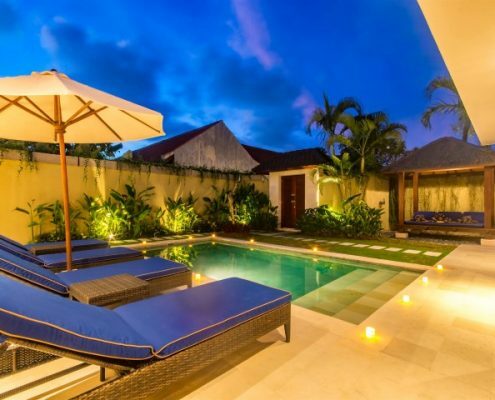 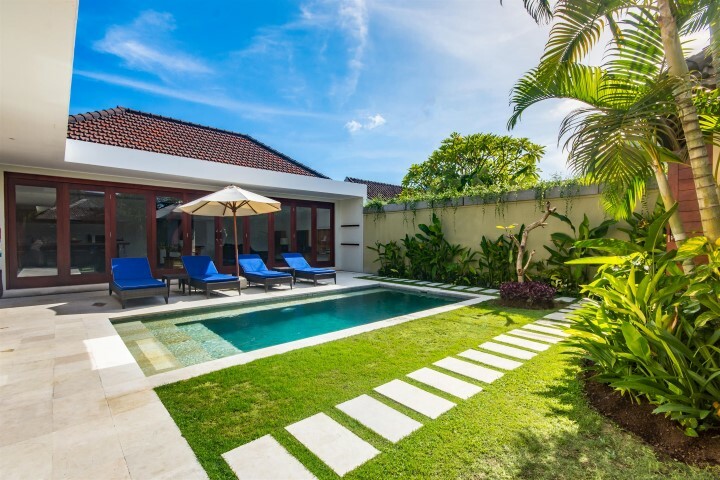 If you’re looking for a pool villa Bali that is so close to all the action, with the bars nightclubs and restaurants right on your doorstep, but with immeasurable elegance and comfort, Villa Umah Kupu Kupu is a great option for your holiday in Bali. 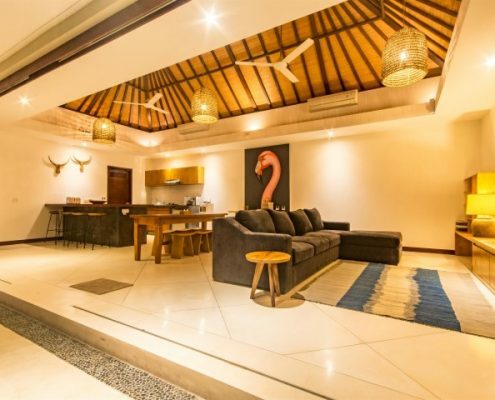 Just had 4 amazing nights in Umah Kupu Kupu 2 and cannot fault it! 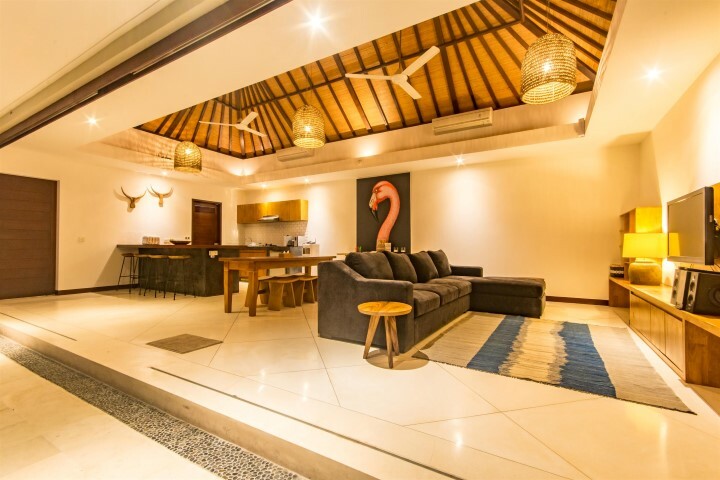 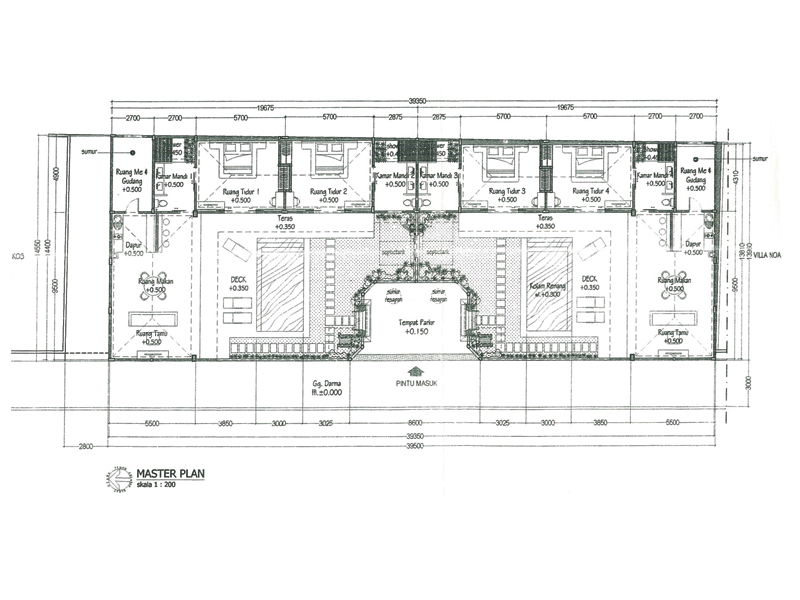 Incredible location, very comfortably equipped and faultless service. 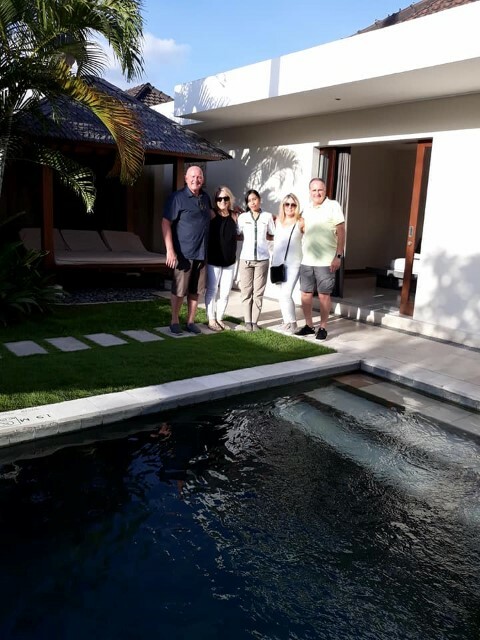 absolutely loved it and didn’t want to leave today! 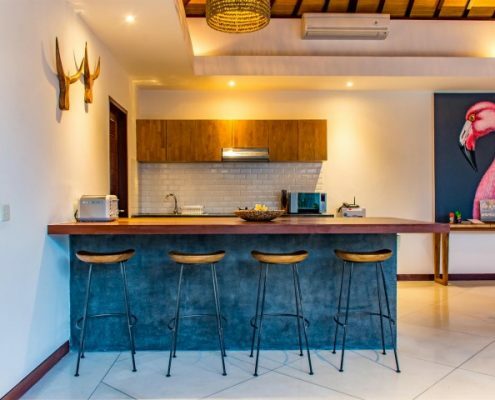 Highly recommend if you want to be within walking distance to many restaurants, bars, clubs and boutiques. 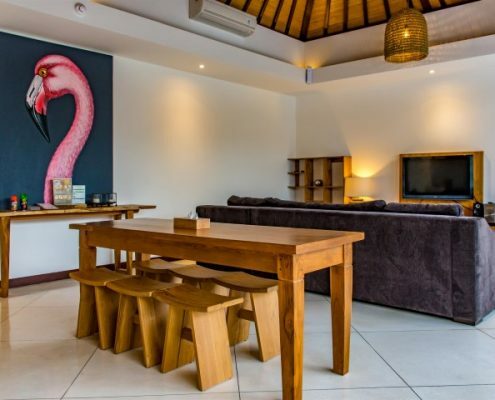 I stayed here with a friend and I have to say we loved it. 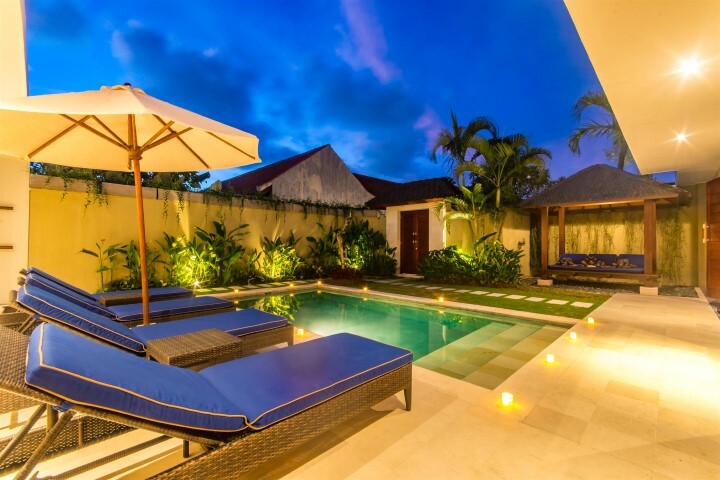 It was our first villa stay and it wont be our last. 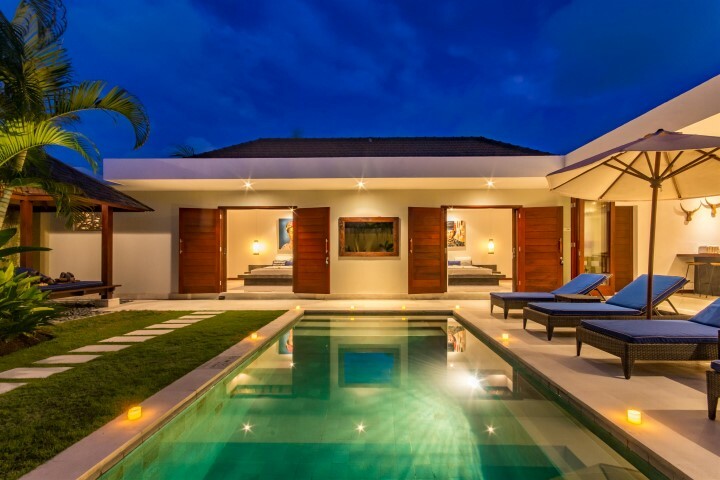 The location was fabulous and the staff were all lovely. 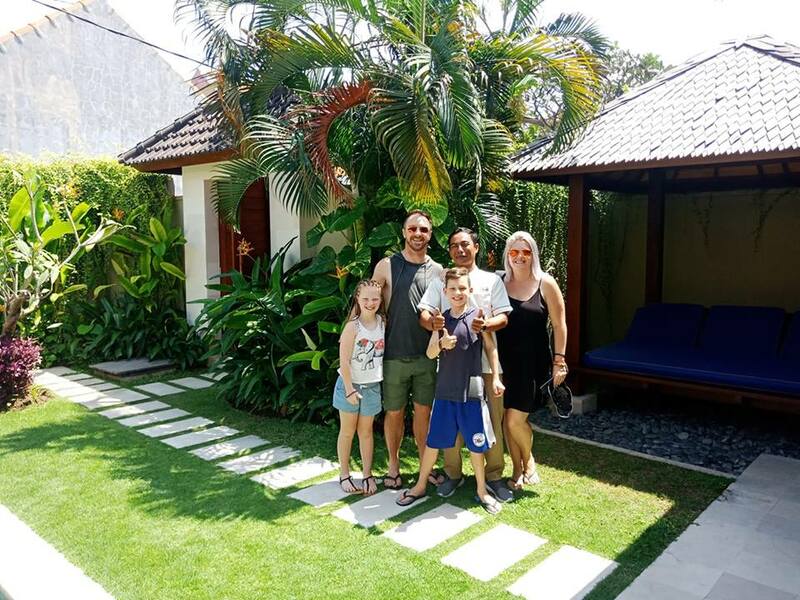 The villa is super clean and an oasis just off Eat St.
Our breakfast was cooked for us each day and the banana pancakes were a highlight. 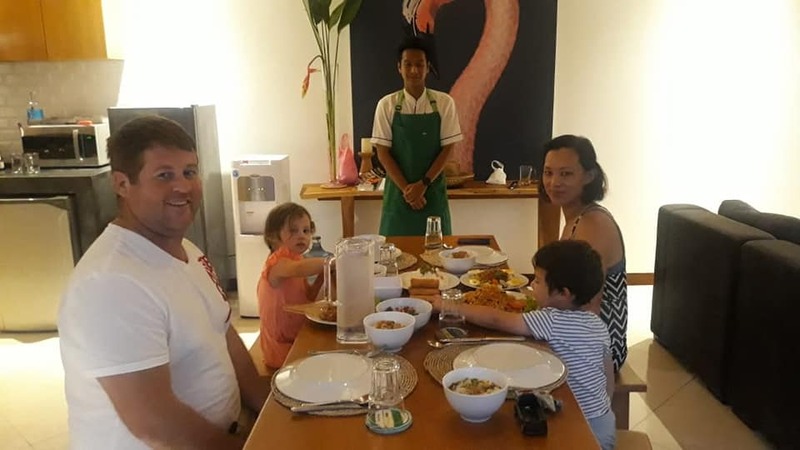 The staff gave me a birthday cake and sang happy birthday which was such a lovely gesture and completely unexpected. 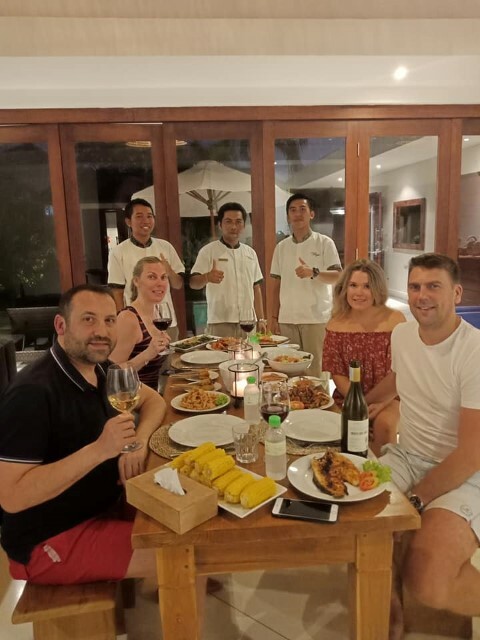 The Villa Bugis group are high class, always willing to help out when you need them too. 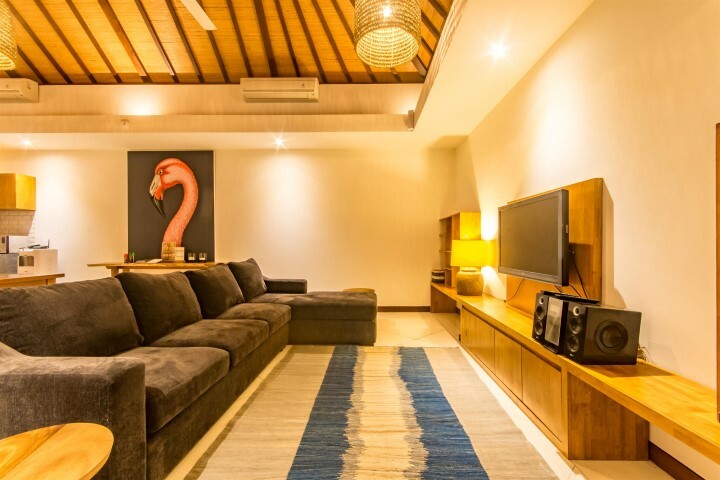 This time around I stayed in Villa Umah Kupu Kupu in Seminyak. 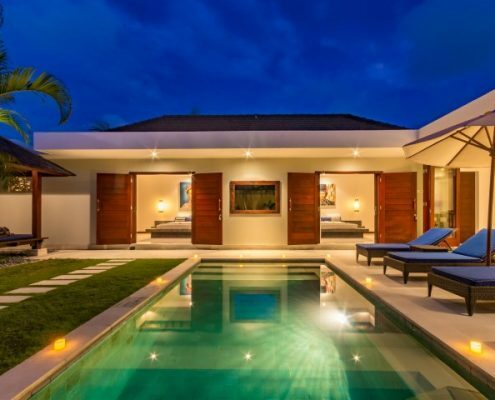 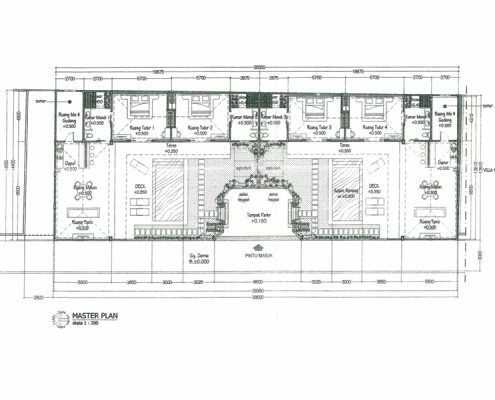 A very well appointed villa, probably the best one yet for me! 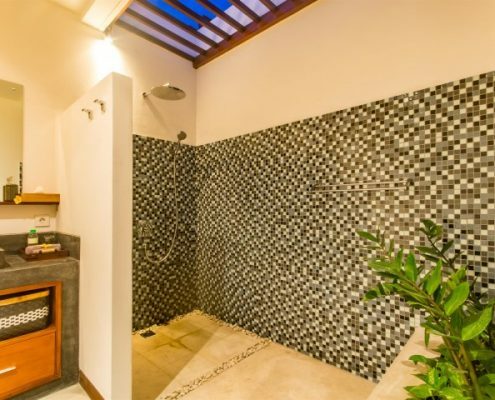 It’s very private and the simple features work well. 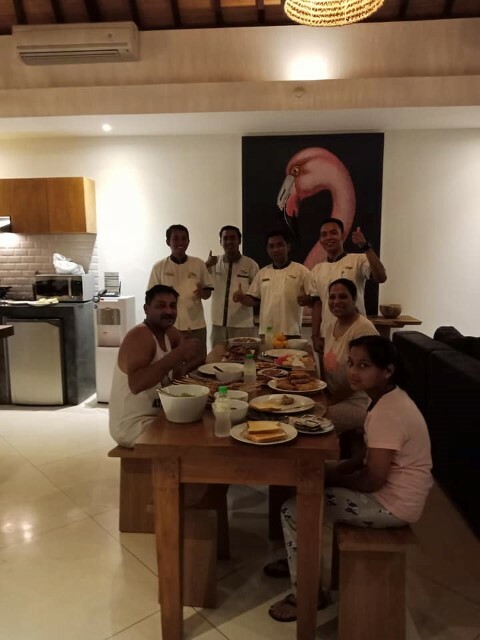 The staff were great, nothing was too much trouble, breakfast each morning was nice and always well presented. 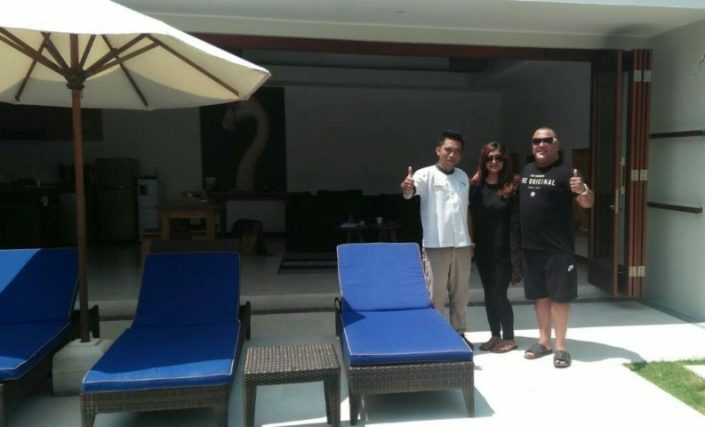 I will on my next visit to Bali stay with V-Bugis again, thank you to the team, it was a pleasure once again.